This posting represents a plea for more information about the revolver shown and the company that made it. 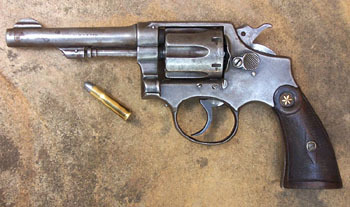 The gun has no proof marks and, as proofs were not required by law in Spain until 1923, we presume the gun is earlier. 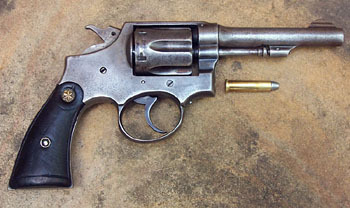 Externally it is a copy of a Smith and Wesson Military and Police model. However, this gun does not have a side plate. 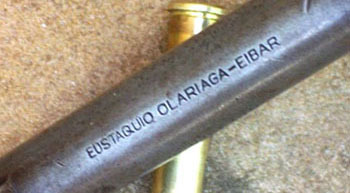 It was made in Eibar, Spain, and is chambered for the .32 Winchester center fire round, also known as the .32-20. Copyright 2011 by Jim Stoddard. All rights reserved. Click on the pictures to open a larger version in a new window, and to see additional photographs.